Kitchen renovating is certainly not a DIY thing. And, handing this task to some service doing inferior quality work can turn your life upside down. The kitchen is the energy hub of your house and renovating it from time to time is more of a necessity than a luxury. 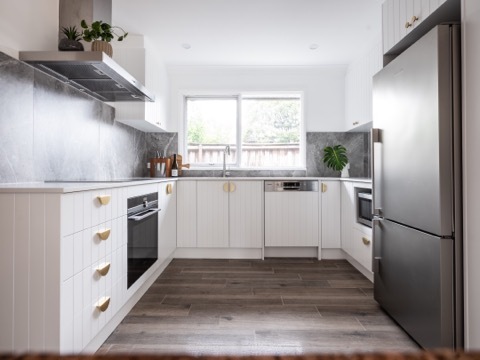 Therefore, we at Wondrous Kitchens, with our fleet of professional design experts, are the perfect Kitchen Renovations in Bankstown that can make your kitchen trendy as well as supportive of your lifestyle. No two houses are same. So, how can two kitchens be? Also, budgets are different, and so are needs. Some houses are for growing family while others are a cocoon to an elderly couple. Making kitchens user-friendly for all types of people is a thing of priority. We believe in making kitchens as handy to use as possible. Custom kitchen designs: We are one of the most updated kitchen design companies that have expertise in providing custom-made solution to the clients. Whether it is a commercial kitchen design or a kitchen for personal use, our designs are developed keeping the space and functioning factors in mind. Custom made kitchen cabinets is our specialty. Time is a rare commodity and no one would like to keep the house disturbed for long. We have a pre-planned yet flexible way of installing kitchen cabinets and other accessories. You can find with us the best quality installations done in the least possible time. We value your time and so, we assign dedicated contractors to each project to get the job done quickly as well as smartly. Only an experienced professional can understand how kitchens can be remodelled or renovated with excellence. 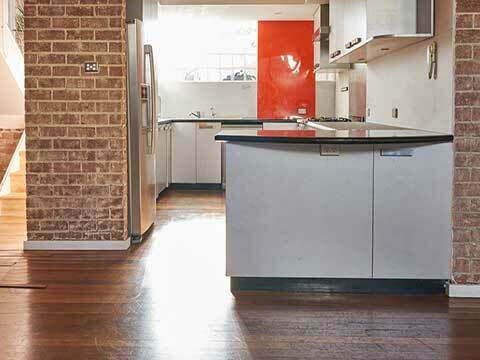 That is why; a professional kitchen renovation Bankstown is a wise choice. We follow the highest standards of quality and commitment and have excelled in bringing forth the finest renovation services. Our team knows in and out of kitchen renovations, so you find every nook and corner of your kitchen transformed into a functional unit with us. There are plethora of choices available in kitchen designs. 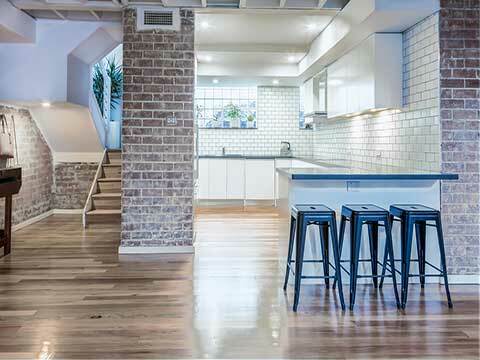 You can be a connoisseur of modern kitchen designs Bankstown, or may have a penchant for the contemporary ones, or you may also be a fan of country kitchen designs. You need someone who is well-versed with all types of kitchens. We, at Bankstown kitchen designs, have achieved expertise in all types of new looks and designs and have correct solutions that match the house kitchens as well as commercial kitchen design requirements. Kitchen renovations should not require breaking your deposits. Fast work, done with perfection at affordable rates, is the best bet for the house owners. Also, we have kept your convenience in mind while pricing our services. You quote your budget, and we have the best affordable kitchen renovations solutions for you. Renovating kitchen is not an oft-repeat activity. Thus, the durability of material cannot be compromised with. Looks of the kitchen designs and high quality of materials go hand in hand with our Bankstown kitchen renovation. Beautiful kitchen designs: Our designs ooze functionality, and they are welcoming too. You can get assembled a low-cost kitchen design in the most appealing manner to make it look at par with luxury kitchen styles. Your search for the most affordable, beautiful and new kitchen designs ends with us. All our works at custom made kitchens Bankstown are timed and delivered within stipulated deadlines. We hand over the premise as they were before the job. Our team of dedicated kitchen contractors are thorough professionals who believe in clean and mess-free work. There can be many kitchen renovation solutions providers around but the one that is the master of all architectural styles and professional approach is hard to find. It is good to work only with those affordable kitchen designs renovators who understand your needs fully and deliver the quality work without crossing deadlines. So, whenever you need your kitchen remodeled on contemporary trends or to make it look beautiful than ever, give a call to our experts at Bankstown Kitchen Renovations. We welcome queries and request for quotes through emails too!